A perfect amusement for your corporate event, reception, promotion or just some fun in the office break room. Easy going fun ideal for conference breaks and games nights. 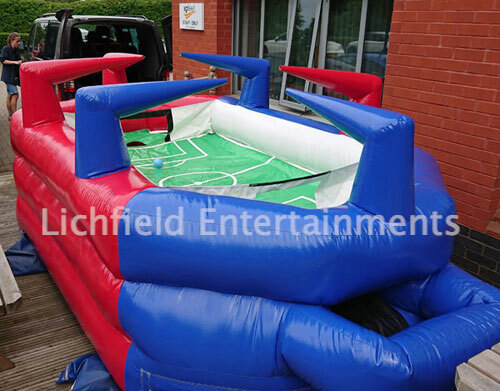 An ideal attraction to hire alongside the Traditional Table Football is our Giant Blow Football Game details of which are below. In this brand new variation of table football the players move the ball around the inflatable pitch using the flexible air jets. The Airstream Table Football is played by two teams of three players and is suitable for use by participants aged age 8 to adult. It can be played both indoors and outside. This activity is ideal for team building, conference breaks, and office fundays. You'll need a level area of 10x10ft overall, this includes room for participants to stand either side of inflatable, and it will require a 240v mains electric supply within 50metres. The game is available for hire either with or without a member of staff. 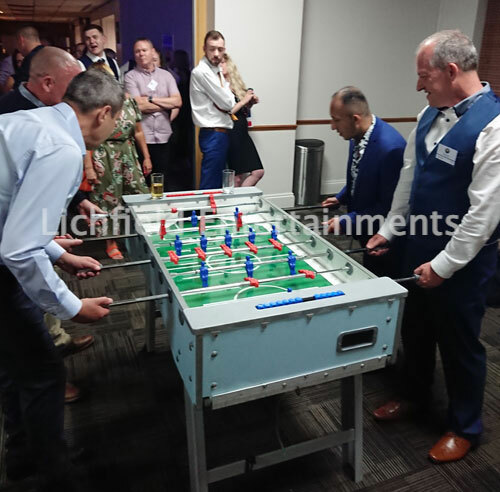 If you have any queries, questions or would like to hire our table football, please click here to enquire and we will do all we can to help.